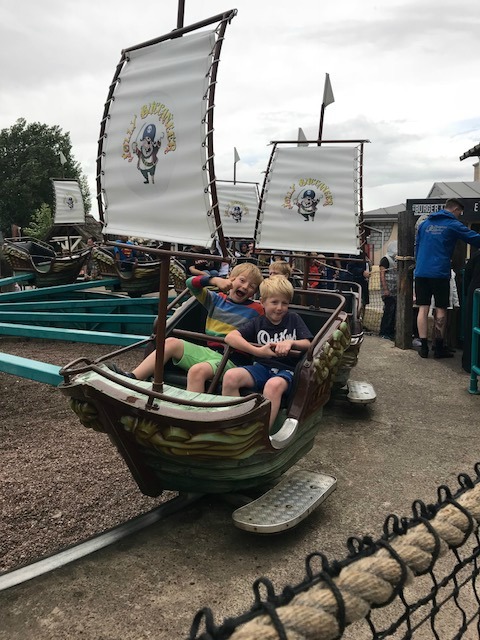 I have to admit that when I agreed to check out Drayton Manor's Summer Sensation, I wasn't sure that it would be any good for my boys who are aged 6-10. It is home to Thomas Land, but my boys outgrew their train sets many years ago. There are also lots of terrifying adrenaline fueled rides, which they are not yet into. So would it be worth the 2 hour drive? 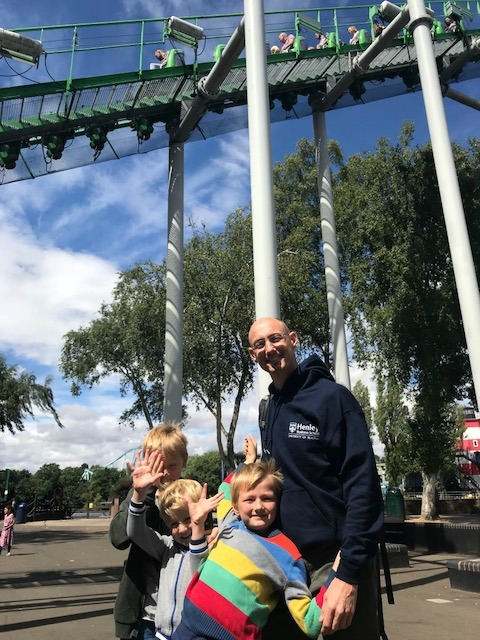 My boys are no stranger to theme parks with regular trips to Legoland, Alton Towers, Chessington and Thorpe Park. So what could Drayton Manor offer us that was different? Well to start with there was Accelerator. This used to be branded as Ben 10 and when we visited Drayton Manor 5 years ago we got big man riding it. I would say it is a step up from the vampire ride at Chessington and we went on this first, before middle man could change his mind about riding it. Luckily the ride was a hit. Unfortunately it was plagued with technical issues all day and we were only able to ride it once. We then stopped for a picnic and it was a welcome relief that there were picnic tables to sit at. 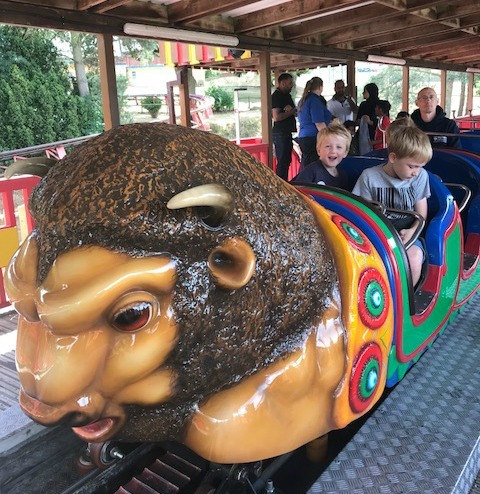 Next up was the Buffalo rollercoaster. It was ok, but looked as though it was on it's last legs trying to get around the track. Ice Age 4D was good family fun as you were catapulted through time with Scrat. 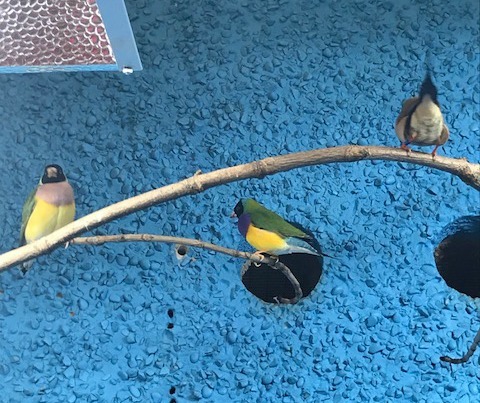 We had a wander around the zoo and I particularly liked the Australian finches. 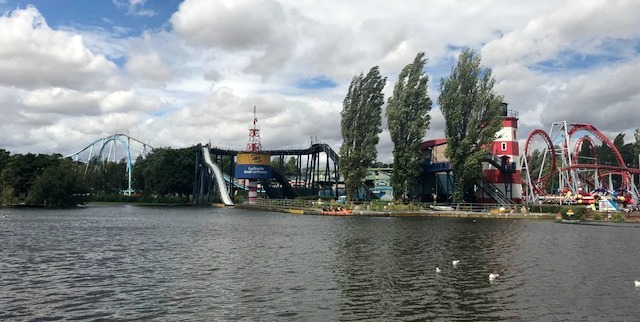 Another great thing about Drayton Manor is that most of the rides you could ride without an adult at 1.2m This meant that neither my husband or myself had to feel ill on Jolly Buccaneer or Drunken Barrels. We popped into Thomas Land as I remembered Cranky the Crane being quite good and it did not disappoint. We ended our day with Stormforce 10. A wateride where there is a backward drop. 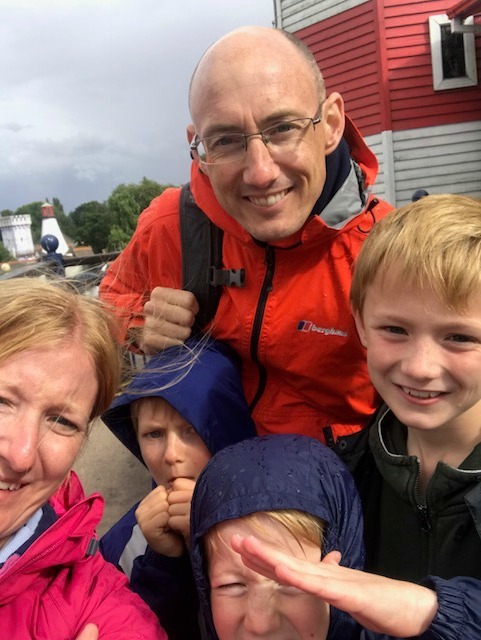 We had our waterproof jackets which helped a lot! You don't get as wet as on Tidal Wave at Thorpe Park! Still wet though! 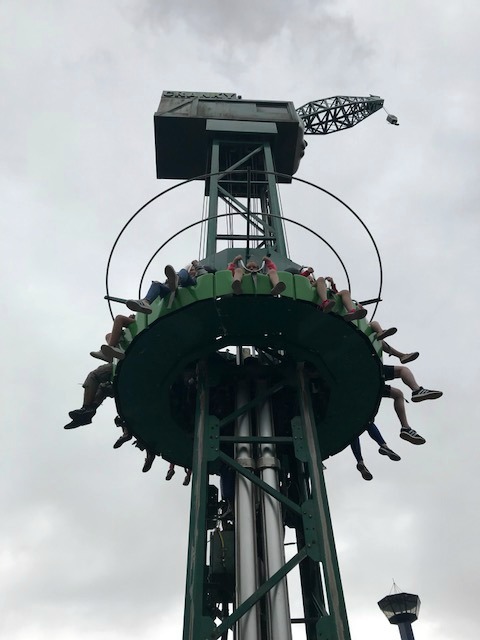 There was a lot we liked about Drayton Manor. Staff were helpful and friendly. The queue times were generally short (30 minutes was the longest) and this makes a huge difference to the enjoyment of your day. Noone wants to spend over and hour queuing for a 2 minute ride. I loved that there were no fast passes that could be purchased. I hate the fact that people can effectively pay to queue jump and it has a massive effect on queues. It was a welcome relief to get to the front of the queue and know you would get on the next ride, not have to wait whilst all the fast passes went on first. The only thing that I missed at Drayton Manor was some kind of way of knowing how long the queues were, or when showtimes were. There was no app or even a suggestion on the queue line. We had a lovely day and middle man would like to visit on a yearly basis. If I lived nearer I would certainly visit more often. Drayton Manor have a special offer this summer where you can pre book 4 tickets for £80 which is really good value for money. Even better is that you only need to do this before midnight the day before you want to go. Have you visited Drayton Manor recently? What did you think?